On 19th August, Communities Secretary Eric Pickles announced an extension of the Troubled Families Programme, as findings from independent research carried out for the Department for Communities and Local Government (DCLG) – National Evaluation of the Troubled Families Programme interim report family monitoring data: a report by Ecorys UK and Understanding Troubled Families – revealed the current state of progress. Back in December 2010 David Cameron set out the ambitious goal of turning around the lives of 120,000 ‘troubled families’ by 2015. This led to the launch of the three-year Troubled Families Programme in April 2012, under the direction of Louise Casey, with £448 million of funding to help local authorities tackle the issue of ‘troubled families’ – families that have problems, and/or cause problems for those around them for a number of reasons, and place a financial burden on the public sector. cause high costs to the taxpayer. In addition, local authorities participating in the programme may apply local discretionary criteria to cover families causing concern. 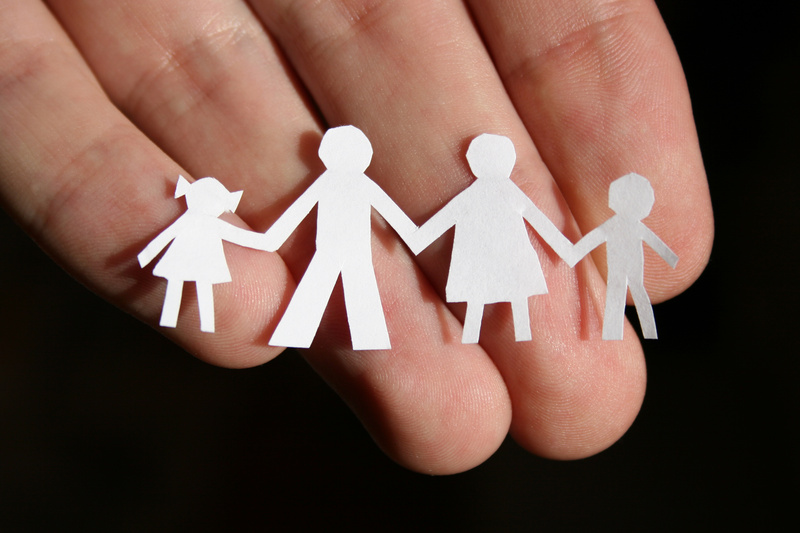 Prior to the launch of the Troubled Families programme, local authorities mainly employed local targeted initiatives and/or Family Intervention Projects, a national network of projects set up as part of the Respect Action Plan, to tackle the problem of anti-social and, disruptive families. Many of these initiatives were based on the successful pioneering work of the Dundee Families Project, launched in 1996, to help families who were homeless or at severe risk of homelessness, generally as a result of anti-social behaviour and complaints about neighbour nuisance. The project, delivered in partnership with Dundee City Council housing and social work departments and the charity Action for Children, specifically aimed to help people rebuild their lives through a programme which included family support, parenting education, dispersed accommodation, and preventative outreach services. and, where necessary, drawing in specialist services. Local authorities that are signed up to the programme each receive up to £4,000 per family to help get children back into school, reduce youth crime, and get people back to work. The costs to local authorities of dealing with troubled families varies considerably. According to the DCLG’s The Cost of Troubled Families, in one extreme case, a family in the South West cost as much as £400,000, as costs to police, local authority housing, anti-social behaviour and children’s services, and the health system were factored in. Wandsworth Council is projecting around £29,000 per year worth of savings per troubled family. Its been noted however that evaluation of both savings and performance of the Troubled Families Programme is hampered by the changing participation criteria and definitions used by the government. Channel 4’s FactCheck blog on Troubled Families concluded that this makes it difficult to verify any of the government’s claims. 52,833 families have now been turned around. Families involved in the programme had, on average, nine serious, often inter-related, problems such as employment/worklessness, education, truancy, crime and anti-social behaviour, housing, child protection, parenting or health. Recent analysis of the latest DCLG figures by the LGC shows that the best-performing local authorities in terms of reported turnaround of troubled families were: Wakefield MDC (99% of troubled families turned around), Leicestershire County Council (95%), Bristol City Council (85%), Bath and North East Somerset Council (81%) and West Berkshire Council (76%). Slough BC (7%), Central Bedfordshire Council (16%) and Wolverhampton City Council (18%) were among the poorest performers. Again this raises questions about definitions – at what point are families assessed as having been turned around? Especially as the problems being addresssed are inter-generational and complex. systematic sharing of information to provide a more complete picture of the family. Case studies on the DCLG’s website illustrate the impact of the programmes on individual families in Leicestershire, Bristol, Wakefield and a number of other local authorities. The government aim is that more families will be helped through the extension of the Programme – 51 of the best performing local authorities will work with an additional 40,000 families this year, ahead of a national 5-year programme from 2015 which will work with up to 400,000 high risk families. While the focus will still be on reducing anti-social behaviour, the expanded programme will also include working with pre-school children, helping to improve poor health, and helping families suffering domestic violence and debt problems. Abstracts and full text access to subscription journal articles are only available to members of the Idox Information Service. This entry was posted in Health and social care, Housing and tagged anti social behaviour, child protection, community safety, councils, crime, data sharing, evaluation, families with complex needs, families with multiple problems, family intervention, joint working, local authorities, multi-agency working, parenting, school avoidance, school exclusion, targeted intervention, Troubled Familes Programme, troubled families, truancy, unemployment, worklessness. Bookmark the permalink.